So delightful! 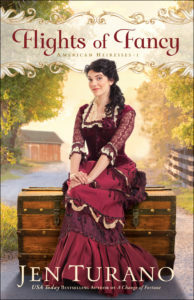 Jen Turano really knows how to write fun historical romance filled with humor, clever and witty dialogue, unforgettable characters, and interesting and unexpected plot twists. 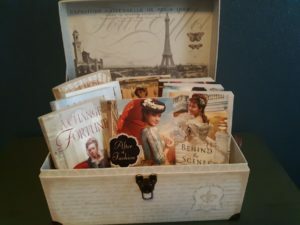 If you enjoy historical romance that is well-written and entertaining, you will adore this book. The premise is not necessarily original for the time period of 1885 but the cast of characters is unique and charming. 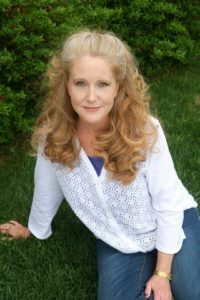 Isadora is a beautiful society lady who is on the run and she finds her true self in a small town in Pennsylvania. Her courage, ability to self-evaluate, her tender heart and her tenacity all lead her to discovering a closer relationship with God and her purpose in life. Ian is totally sigh-worthy: strong, intelligent, wealthy, loyal, loving, kind, and handsome. Yet he, too, needs to travel this journey of maturation as he realizes his long-term life goals are selfish and feels led to re-evaluate what he holds dear. There are some truly hysterical moments in the book that will have you laughing out loud. It’s definitely a book that will leave you with a happy, satisfied smile on your face when you’re finished. I can’t wait for the second book in the series! I received a copy of the book from Bethany House via Celebrate Lit Tours and was under no obligation to post a positive review. All comments and opinions are solely my own.